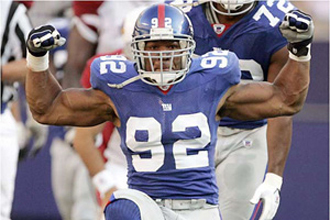 Strahan retires,hang’s up his cleats and leaves it to Osi. ~ by Rod on June 11, 2008. Strahan should go home and fix his teeth for his new TV job he is gonna have. This entry was posted on June 11, 2008 at 12:26 am and is filed under Uncategorized.You can follow any responses to this entry through the RSS 2.0 feed.You can leave a response, or trackback from your own site. Previous: He signed the contract!